Probably, photos come second to maps when it comes to mashups. Unlike a map, a photo tells a story. When you combine it with something else and create a “mashup”, it is often interactive. Mashups are uniquely Web 2.0 in their origins and spread. If you look at all popular mashups, you will often see it is a reflection of a web application’s popularity and the way we use it in our daily lives. 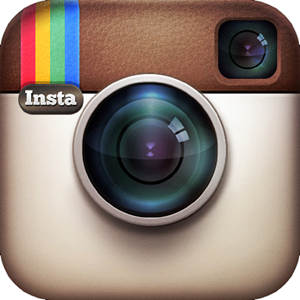 There is no doubting the popularity of Instagram – or more appropriately its craze. 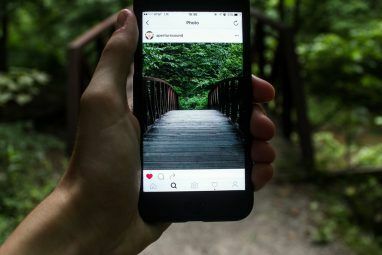 Today, Instagram is a global community Instagram Isn't a Photography App, It's a Community [Opinion] Instagram Isn't a Photography App, It's a Community [Opinion] Over the past month, there's been a renewed deluge of articles arguing over Instagram's merit as a photography tool. Every so often, tech bloggers, photographers and journalists come together in a discussion over the merits... Read More in the guise of a photography app. Instagram mashups feed the culture behind it. Pingram is an Instagram viewer as are all Instagram mashups in one way or another. 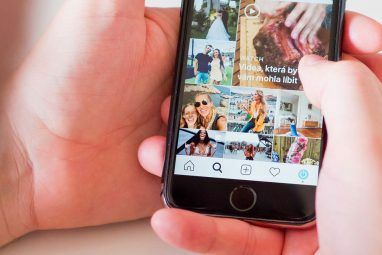 The interesting remix here is that Pingram brings together two widely popular social media tools – Instagram and Pinterest. As you see with a glance at the screenshot, Instagram photos are given the Pinterest treatment. The viewer shows the public Instagram feed and comments the photos receive. You can also search by tag. You cannot add your comments here. But the photos can be shared Pinterest, Google+, Facebook, and Twitter. In my opinion, it doesn’t have the elegance of Pinterest, but Pingram is recommended for fans of both Pinterest and Instagram as it makes pinning photos a cinch. Tunegram blends music and Instagram together in a unique combination. It is not a very remarkable app, but could have its uses if you like cross-media experiences. Tunegram allows you to share the track you are listening to (or more visually, the album art) with your Instagram followers. It is one of the simplest apps to use as you just have to tap a button to share your music track. Tunegram automatically adds all the needed hashtags like #artist, #songTitle and #genre to your share. Tunegram [No longer available] is a free download from the App Store, but there is a premium version ($0.99) too which removes the watermark. If you can have Instagram postcards, then why not an “Instagram shirt”? InstaShirt allows you to sign in with Instagram and design your T-shirt with Instagram photos. The service uses Zazzle (the well-known online retailer for customized designs) for getting your T-shirts tailored and shipped. InstaShirt provides the frontend for customizing the look of your T-shirt. Multiple design layouts and several varieties of shirts from simple T-shirts to hoodies give you the flexibility you need. As you can see in the screenshot, InstaShirt walks you through the four steps needed to customize the look of your shirt using your Instagram photos. The style of your shirt will obviously determine the final order price. Valentine’s Day is behind us but Luvdaq is still a good visit for the lovelorn. It is an Instagram and Instafeed.js mashup. It is a fun but interesting mashup tool to visualize Instagram with opposing tags. Maybe, if you are really into the spirit of love you can click through and discover the Instagram users behind the photos and the tags. If Luvdaq works out for you then Lovestagram could take your love life a bit further. You can use Lovestagram to send a personalized Valentine’s Day photo album to the love of your life. Log in with Instagram and choose the person you want to send a special Instagram album to with their username. A Lovestagram album is made up of nine photos. You can include a special note and choose a background from the ones available to deck up your love album. You can schedule your Valentine message to be delivered on the 14th at the recipient’s email address. The About page of the app is an interesting read in itself. Every photo has a story behind it. Well, at least the good ones do. Story Wheel pays homage to those special Instagram photos by letting you spin a story around an Instagram slideshow. Story Wheel is a mashup of Instagram and SoundCloud. The mashup gives you the feel of an old projector displaying images on the opposite wall. In this case it is a slideshow of your chosen Instagram photos. Story Wheel even accompanies it with the ‘slide change’ sound effect as each photo changes. You can use the mic to supply an audio narration to go along with your photo story. Instatrip is invite only for now, but it’s worth keeping an eye on because travel photography and Instagram makes for a great trip. Instatrip is a very engaging mashup that allows you to share your holiday photos with the rest of the world. All you need to do is tag your Instagram photos with the location where you took it and then Instatrip takes over to automatically generate the photo mashup out of your Instagram photostream. You can add comments and give your creative insights on the place you are passing through. Think of Instatrip as a collection of virtual travel postcards done the Instagram way. As the tagline on the site says – map out your memories. We can’t do without our favorite feline pictures can we? So, Instac.at obliges with the obligatory lineup of the best cat snaps on Instagram. Don’t believe the name though…it is not a signature cat photo site because you can use it to showcase dogs, horses, unicorns, or whatever else the Instagram craze manages to throw up. You just need to do a search and the site serves it up with a scrolling display. These eight Instagram mashups are creative interpretations of what you can do with your Instagram photos. At their core they are merely different ways of exhibiting your photo collection to the world and having bit of fun in the process. Just goes to show how far you can take a simple filter enhanced snap. Are there any more interesting Instagram mashups you have come across which we haven’t sighted yet? Instagram is a world of its own now, so I am betting people are making use of it in fascinating projects of their own too. Tell us all about them. Explore more about: Instagram, Mashup, Photo Sharing.